MEETING THE REPRODUCTIVE HEALTH NEEDS OF WOMEN AND GIRLS HAS POTENTIAL FOR IMPROVING HEALTH OUTCOMES, REDUCING POVERTY, PROMOTING GENDER EQUALITY AND PROMOTING GIRL CHILD EDUCATION IN UGANDA. Acting Chair- AfriYAN Uganda Chapter, Global Youth Leader PMNCH and Member- Have You Seen My Rights Coalition. Uganda’s projected population is about 35million people, and about 8million, nearly 23% of total population, are women of reproductive age. In Uganda Women in the reproductive age still face the worst of the devastating reproductive health challenges. Uganda’s Maternal Mortality Rates (MMR) currently stands at 438 per100, 000 live births. This MMR translates to about 6,000 women dying every year due to complications related to pregnancy and child birth. In Addition, for every woman who dies, six survive with chronic and debilitating ill health, further translating to almost 17 mothers dying every day due to pregnancy related complications. The health facility MPDR report (2009-2011) shows that about four in five maternal deaths in Uganda are from direct causes. By far the most outstanding cause of maternal deaths is hemorrhage (including uterine rupture), accounting for almost half (47%) of maternal deaths in health facilities. These deaths are largely preventable through appropriate care at child birth. Abortion and pregnancy –related sepsis account for one in five maternal deaths (20%) with about 60% of the abortion cases categorized as induced abortions (unsafe abortions). The major risk factors for this high mortality include the high total fertility rate (TFR) currently standing at 6.2 children per woman, high teenage pregnancy rate currently standing at 25% and high unmet need for family planning currently standing at 34%, since they increase exposure to risk of pregnancy and hence pregnancy related deaths for both women and newborns. The ability to decide on the number and spacing of one’s children is still taken for granted by many in Uganda and yet, for a majority of Ugandans, especially the most vulnerable and those affected by poverty, the power and means to determine the size of their families are scarce or inadequate. According to the UDHS of 2011, about one in three married women of reproductive age reported having an unmet need for family planning, which translates into approximately 1.6 million women in Uganda lacking access to reliable, high-quality family planning services, information and supplies, putting them at risk of unintended pregnancy. 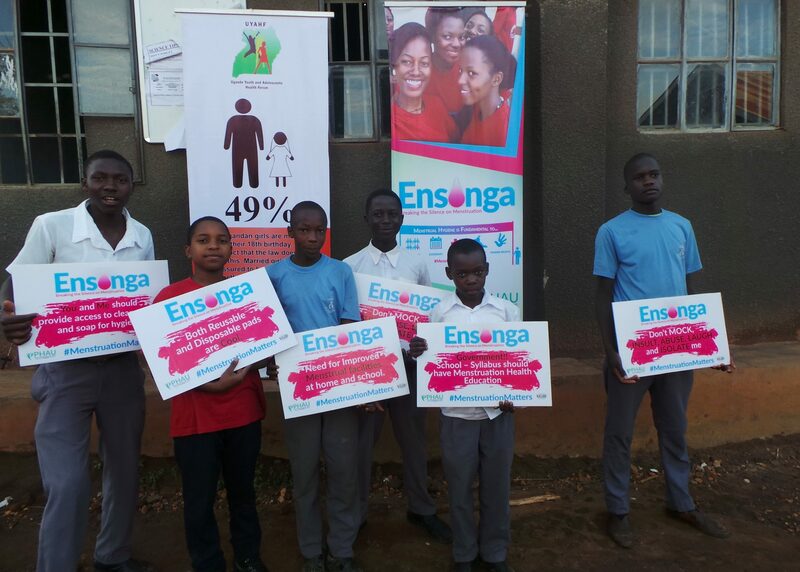 In Uganda, high levels of unintended pregnancy exist, especially among adolescents, the poor and vulnerable communities in humanitarian settings. The huge unmet need for family planning persists, despite national and international commitments to promote individuals’ rights to make their own decisions about when and how often to have children. Access to family planning services in Uganda is still restricted by forces including poverty, negative social pressures, gender inequality, stigma and discrimination, restrictive laws and lack of adequate knowledge and information on availability and accessibility of family planning services. While commemorating the World Populations Day on July 2015 in Sembabule District, the UNFPA Country Representative Ms. Esperance Fundira noted that it is critical to meet the special needs of women and adolescent girls especially those in humanitarian setting as this is vital in improving their health and well-being and fulfilling their potential. Women and adolescent girls face much greater risk of abuse, sexual exploitation, teenage pregnancy, violence and forced marriage during conflicts and natural disasters she noted. Fundira also noted, that Pregnant women, in particular, fear for their health and that of their unborn babies and wonder if they will deliver safely, as health centers and other key infrastructure are poorly equipped with supplies and life saving commodities, overcrowded, and inaccessible. The commemorations held under the theme, “Prioritizing Community Transformation, addressing the Needs of Vulnerable Populations” were graced by H.E President Yoweri Museveni the President of the Republic of Uganda as the chief guest. The President Museveni attributed Uganda’s growing population to the existing peace that the country has enjoyed and the vigorous immunization campaigns that has reduced child mortality. “We treat refuges well, because they are our people. Physical boarders do not mean anything to us” said President Museveni. The president also pledged governments’ support and committed to improving health service delivery by allocating more resources to the health sector. In his remarks H.E. Hon. Sam Kutesa the President of the UN General Assembly and the Member of Parliament for Sembabule informed masses that the world is in a very critical period when we are transitioning from the Millennium Development Goals (MDGs) to a new Sustainable Development Framework. He noted that in September 2015, the world will adopt the Sustainable Development Goals (SDGs) as the new development framework. Kutesa also noted that the SDGs have a very special focus on young people, and called on government of Uganda to invest in policies and programs that harness the potential of our young people and ensure they are healthy, educated, and can get a job. Studies have shown that meeting the reproductive health needs of women in the reproductive age helps reduce maternal mortality and morbidity, reduce unintended pregnancies, reduce poverty, improve health, promote gender equality, enable adolescents to finish their schooling and increase labourforce participation. When a woman is able to exercise her reproductive rights, she is more able to benefit from her other rights, such as the right to education. The results are higher incomes, better health for her and her children and greater decision-making power for her, both in the household and the community. When women and men together plan their childbearing, children benefit immediately and in their long-term prospects. Meeting reproductive health needs of women and adolescent girls requires a multipronged effort i.e, simultaneously strengthening health systems, enforcing laws that protect individuals’ rights, reducing poverty, challenging harmful traditional practices, eliminating child marriage, ending gender based violence and discrimination, removing logistical impediments and ensuring a broad range of services including maternal health, youth friendly services and family planning. As pre-event to the World Population Day, UNFPA and the National Population Secretariat also donated delivery equipment to Sembabule Health Center IV. The equipment handed over directly to the facility In-charge included among other things, delivery bed, mattresses, motorcycle ambulances, Blood Pressure Machines, Autoclave machine e.tc. The official handover was presided over by H.E. Hon. Sam Kutesa who thanked UNFPA for considering Sembable and called on the health facility Staff to use the equipment with care to benefit the community. This entry was posted in Uncategorized on July 15, 2015 by patsewa.